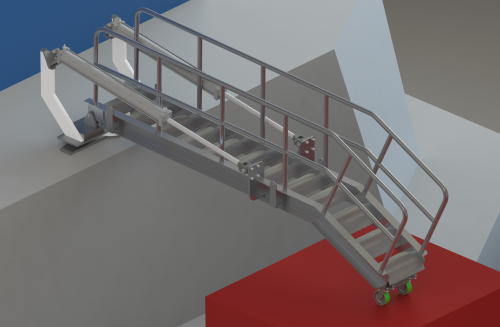 Schoellhorn-Albrecht designs and manufactures tug to barge and dock to barge accommodation ladders in a wide variety of sizes and styles. 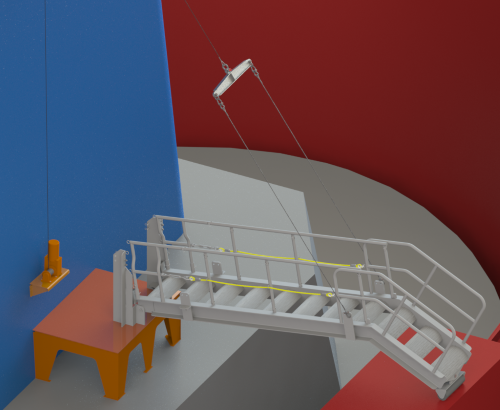 The accommodation ladders can be stowed until needed and then easily deployed for convenient vessel access. All of our ladders are made with 6061-T6 aluminum alloy and designed and tested to meet ISO specifications. Our accommodation ladders are used by military and industrial ships, operating effectively throughout the world.